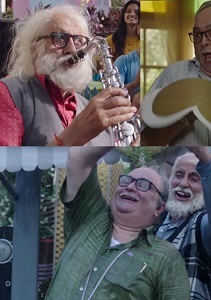 Review Summary: Amitabh Bachchan and Rishi Kapoor keep things entertaining and lively in '102 Not Out'. Too bad the film doesn't sustain the energy. I’m going with three out of five. Quite unlike Dattatraya, Babulal is dull and disinterested in life.